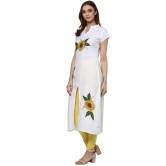 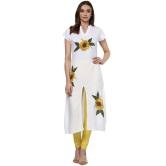 Accented With Front Slit, This White Coloured Kurta From The House Of Anuswara. 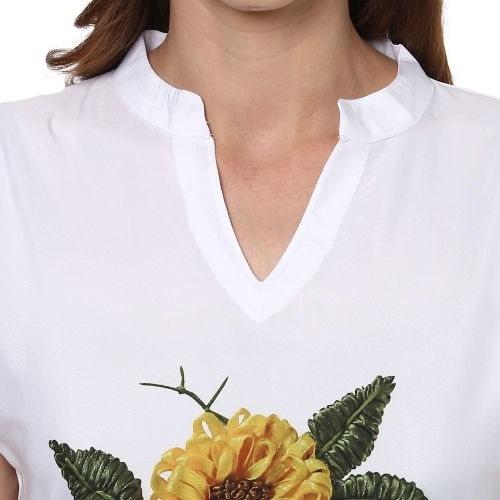 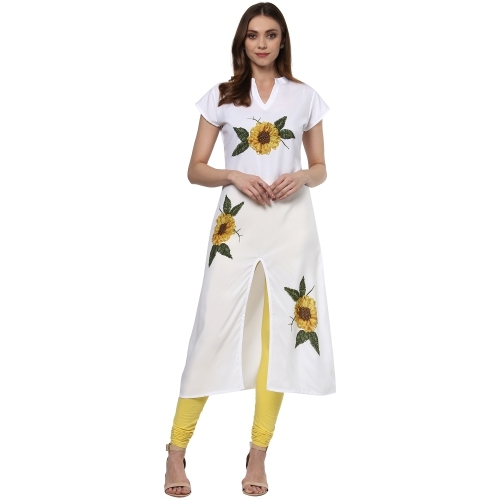 The Crepe Fabric Ensures Soft Feel And Total Comfort.This White Kurta Has A Stand Collar With Front Opening Which Is Perfect For Your Casual Look. 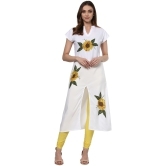 Tag This Kurta With A Black Churidar And Stilettos.